5-HTP is the L-5-hydroxy tryptophan form of the amino acid tryptophan. 5-HTP is in this 5-HTP product in pure form from natural toxicologically immaculate extract the African Griffonia simplicifolia before. The extract is isolated by its shape very quickly, so the formula is suitable for people who lack a lack of serotonin enzymes are no longer self-formation. By increasing the serotonin - depression levels are naturally treated. This 5-HTP product is directly on the symptom of the 5-HTP-defect and compensates immediately and without enzymatic buffer missing 5-HTP molecules in metabolism. The body needs the hydroxylation of 5-HTP from tryptophan is not itself perform. That makes this product a quick, easy and convenient. 5-HTP is not present in foodstuffs for any appreciable extent. For use as a supplement, it is produced from the seeds of an African plant (Griffonia simplicifolia). Several small studies have compared 5-HTP to standard antidepressants.16 The best one was a 6-week study of 63 people either 5-HTP (100 mg 3-times daily) or an antidepressant in the Prozac family (Fluvoxamine, 50 mg 3 times daily) .17 Researchers found equal benefit between the supplement and drug. However, 5-HTP caused fewer and less severe side effects. There is some evidence that 5-HTP May to prevent migraine, when they in a dose of 400 to 600 mg daily. Lower doses May not be effective. In a 6-month trial of 124 persons, 5-HTP (600 mg daily) proved equally effective as the standard drug methysergide.18 The most dramatic benefits of observed reductions in the intensity and duration of migraines. Since methysergide is better than placebo for migraine headache in previous studies, the study results provide meaningful, but not airtight, evidence that 5-HTP is also effective. Putting all this evidence together, it seems likely that 5-HTP can help people with frequent migraine headaches, when in sufficient doses, but further research needs to be done. Above all, we need a large double-blind study that compares 5-HTP against placebo over a period of several months. The drug fenfluramine was a member of the now infamous fen-phen treatment for weight loss. Although very successful, fenfluramine was later associated with damage to the valves of the heart and was withdrawn from the market. Since fenfluramine raises serotonin levels, it seems reasonable to believe that other substances that affect serotonin might also be useful for weight reduction. Four small double-blind, placebo-controlled clinical studies examined whether 5-HTP may aid weight loss. The first, a double-blind crossover study, found that the use of 5-HTP (at a daily dose of 8 mg per kilogram of body weight) reduced caloric intake despite the fact that the 19 participants from non-conscious, healthy eating less.26 Participants given placebo consumed about 2300 calories per day, while those that 5-HTP ate only 1800 calories a day. Use of 5-HTP appeared to be a significantly enhanced sense of satiety after eating. 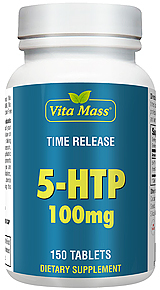 In the course of 5 weeks, women who are 5-HTP effortlessly lost more than 3 lbs. A follow-up study the same group enrolled 20 overweight women who are trying to lose weight.27 Participants received either 5-HTP (900 mg per day) or placebo for two consecutive 6-week periods. For the first time there were no restrictions on food, while in the second period, participants were asked, according to a defined diet expected to lead to weight loss. Participants receiving placebo did not lose weight during either period. However, of which 5-HTP lost about 2% of their initial body weight during the no-diet period and an additional 3%, while on the diet. For example, a woman with an initial weight of 170 pounds lost about 3-1/2 lbs after 6 weeks with 5-HTP without dieting and another 5 pounds while dieting. Once again, participants, the 5-HTP experienced quicker satiety. Finally, a double-blind, placebo-controlled trial with 20 overweight adults with diabetes found that the use of 5-HTP (750 mg per day) without intentional dieting resulted in about a 4-1/2 pound weight loss over a 2-week period.29 using 5-HTP reduced carbohydrate intake by 75% and fat intake to a lesser extent. Although 5-HTP is relatively new in the United States as a dietary supplement, it has been published in several European countries as a medicine since the 1970s. What advantages does 5-HTP over L-tryptophan? There are many advantages of 5-HTP over L-tryptophan. Firstly, because it is a step closer to serotonin, it is more effective. 5-HTP is also inherently safer. Although L-tryptophan is safe if properly prepared and free of contaminants associated with a severe allergic reaction known as eosinophilia myalgia syndrome (EMS), 5-HTP is a much better choice from a safety and therapeutic perspective. Most commercially available 5-HTP is isolated from a natural source - a seed from an African plant (Griffonia simplicifolia). 5-HTP has been studied in the treatment of depression? There is excellent documentation that 5-HTP is an effective antidepressant agent. 5-HTP often produces very good results in patients not responding to standard antidepressants. One of the most impressive studies in 99 patients described as suffering from "therapy resistant" depression. 1 These patients were not on a previous therapy including all available antidepressant drugs as well as electro convulsive therapy treatment. These therapy resistant patients received 5-HTP at dosages averaging 200 mg daily, but ranges from 50 to 600 mg per day. Complete recovery, there was in 43 of the 99 patients and significant improvement was noted in 8 more. This significant improvement in patients with long-standing, no more depression is quite impressive that the author of the study to a different state "5-HTP merits a place in the front of the ranks of the antidepressants, rather than as a last resort. Are there any studies where 5-HTP was directly to antidepressants? Yes, there are several. 5-HTP is equal to or better than standard antidepressants and the side effects are much less strict. The study with the most significance was that in comparison with Fluvoxamine, a selective serotonin reuptake inhibitors like Prozac, Paxil and Zoloft. In the study, subjects received either 5-HTP (100 mg) or Fluvoxamine (50 mg) three times daily for 6 weeks. 3 The percentage decrease in overall depression scores was slightly better in the 5-HTP group (60.7% versus 56.1%). More patients responded to 5-HTP as Fluvoxamine and 5-HTP was quicker acting than the Fluvoxamine. What effect does 5-HTP on the weight loss? As far back as 1975, researchers demonstrated that administering 5-HTP) in rats that are bred to provide food and obese to significant reduction of food intake. 4 It turns out that these rats have decreased activity of the enzyme that converts tryptophan to 5-HTP and subsequently to serotonin. In other words, these rats are fat as a result of a genetically determined low level of activity of the enzyme begins to produce serotonin from tryptophan. The early animal studies that used 5-HTP as a weight loss aid has been followed by a series of four human clinical studies of obese women, at the University of Rome. 6-9 The first study showed that 5-HTP was able to reduce caloric intake and promote weight loss despite the fact that women no conscious effort to lose weight. 8 The average amount of weight loss during the five-week period of 5-HTP supplementation was a little more than 3 pounds. The second study sought to determine whether 5-HTP helped overweight people to diet recommendations. 9 The twelve-week study was divided into two six-week periods. For the first six weeks there were no dietary recommendations for the second six weeks the women were on a 1200-calorie diet. As shown in Table 1, women who took the placebo lost 2.28 pounds, while women, the 5-HTP lost 10.34 pounds. As in the previous study, 5-HTP appeared to promote weight loss by promoting satiety-the feeling of satisfaction leading fewer calories consumed at meals. Any woman who is the 5-HTP reported early may. Early satiety was reported by 100 per cent of the subjects during the first six-week period. During the second six-week period, even with severe caloric restriction, ninety percent of the women, the 5-HTP reported early may. Many of the women, with the 5-HTP (300 mg three times per day) reported mild nausea during the first six weeks of therapy. In the recent study, 25 overweight non-insulin-dependent diabetic outpatients were included in the study included in a double-blind, placebo-controlled study and randomized to receive either 5-HTP (750 mg / d) or placebo for two consecutive weeks during which no dietary restriction was prescribed. 9 results again indicated that patients taking 5-HTP significantly decreased their daily energy intake, by reducing carbohydrate and fat intake, and reduced their body weight. 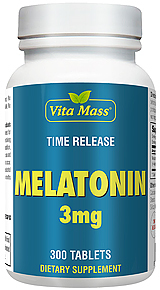 How does 5-HTP compare with melatonin in the treatment of insomnia? Several clinical studies have shown 5-HTP for good results in promoting and maintaining sleep in normal subjects as well as insomnia. 10-13One of the key benefits with 5-HTP in the treatment of insomnia is its ability to increase the quality of sleep. How does 5-HTP benefit headache patients? Because chronic headache sufferers have low serotonin in their tissues, some researchers refer to migraine and chronic headaches as a "low serotonin syndrome." 14 There have been several clinical studies with 5-HTP in headaches, including migraine and headaches of Spannungstyp that have shown excellent results. 14-20 In particular, the use of 5-HTP in the prevention of migraine headache offers considerable advantages over drug therapy. Although a number of drugs have proved useful in the prevention of migraine headaches, all of them with significant side effects. In contrast, 5-HTP is very safe. What is fibromyalgia and how does 5-HTP help? Fibromyalgia is a disease recently recognized as a frequent cause of chronic musculoskeletal pain and fatigue. The history of the development of 5-HTP as an effective treatment for fibromyalgia began with studies on the drug situation fenclonine. 21 The drug blocks the enzyme that converts tryptophan to 5-HTP and, as a result blocks serotonin production. What is the best way to 5-HTP? For depression, weight loss, headaches, and fibromyalgia the dosage should be 50 mg three times per day. If the response is inadequate after two weeks, increase the dose to 100 mg three times per day. This recommendation will greatly reduce the often mild symptoms of nausea during the first weeks of 5-HTP therapy. With enteric-coated capsules or tablets (pills, which in a way so that they do not dissolve in the stomach) significantly reduces the likelihood of nausea. Since 5-HTP is not on the same vehicle, such as L-tryptophan, it can also work with food. But if you are responsible for weight loss I recommend that 20 minutes before a meal to be. Can 5-HTP be taken with St. John's wort extract? Yes. In fact, the two seem to work very well together. St. John's wort extract has been shown in over 25 double-blind studies to be or as effective as antidepressants in treating mild to moderate depression. In severe cases, I recommend using 5-HTP along with St. John's wort. Make sure that the use of St. John's wort extract standardized for 0.3% hypericin. The dosage for this extract is typically 300 mg three times per day. When used in combination with 5-HTP I recommend 50-100 mg of 5-HTP and 150-300 mg of St. John's wort extract three times daily. What about the use of 5-HTP with antidepressants? Although 5-HTP has been shown to work very good with antidepressants in clinical trials, my recommendation is that if you have a prescription antidepressant drug is, do not take 5-HTP, until your doctor. It is possible that serotonin levels to high. The result is a condition known as "serotonin syndrome", characterized by confusion, fever, chills, sweating, diarrhea, and muscle cramps. Apart from that, with your doctor, the supervisor, 5-HTP can be used in conjunction with antidepressants. The typical dosing schedule is to start with a dose of 5-HTP at 50 mg three times daily, after one month, the dosage of antidepressant medication may be halved. If satisfactory response is achieved after the next month, increasing the dose of 5-HTP to 100 mg three times daily and there are drugs. Even your doctor must monitor any change in the dosage of your medication.